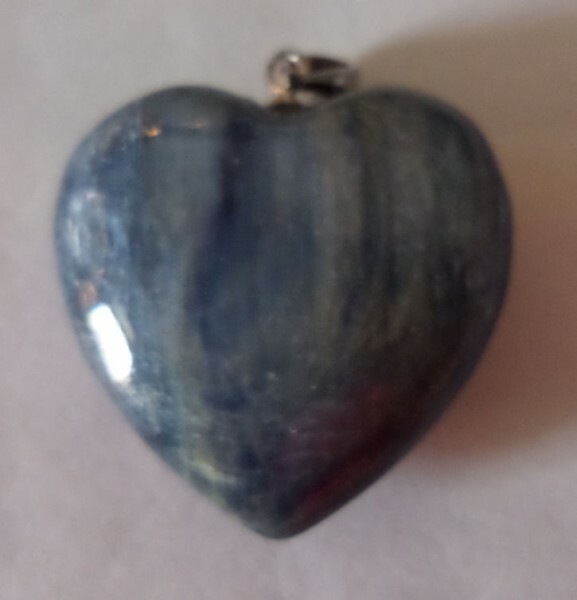 Kyanite Puffy Heart Pendant with 925 Sterling Silver Clasp - (25mm). This Kyanite Heart Pendant is a great choice. This polished heart has a lovely tone and a natural earthy look. This pendant features natural Kyanite and the heart is fitted with a 925 sterling silver loop. This pendant is an beautiful piece and would make the perfect gift. Kyanite will not retain negative vibrations or energy, therefore never requiring clearing. Kyanite aligns all chakras and subtle bodies instantly. It provides balance of yin-yang energy and dispels blockages, moving energy gently through the physical body.